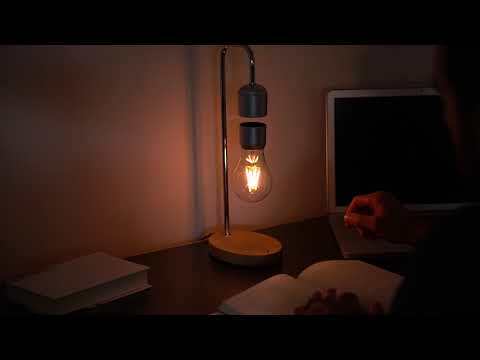 Perfect for desks, nightstands, and table tops, this Modern innovation's Levitating Wireless Light Bulb uses magnetic induction to levitate freely. The light bulb works up to 50,000 hours. The stand is made from galvanized gavelock and the base has a wood oak finish. This unique light bulb will definitely be a conversation piece.